It's week 1 of the TPT Seller Challenge and I'm loving this first challenge! The challenge is to make over a product cover. I'm trying to steer out of my comfort zone a bit and use patterned paper. But the chevron of my "before" product cover is a little too distracting. The softer toned patterned paper of the "after" cover is a little more appealing to me. I also like the look of the larger clipart boy. 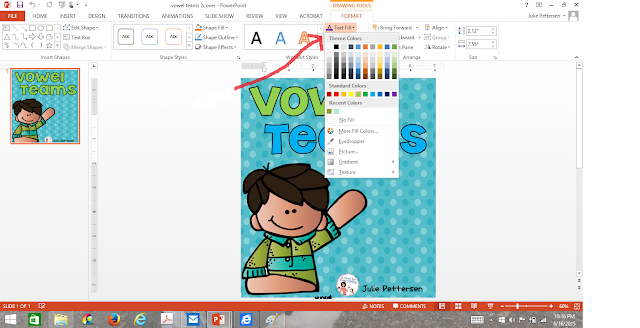 After choosing the font (KG The Last Time) I clicked on "text outline" in the drop down menu of the drawing tools option and chose the color outline and thickness of the outline. 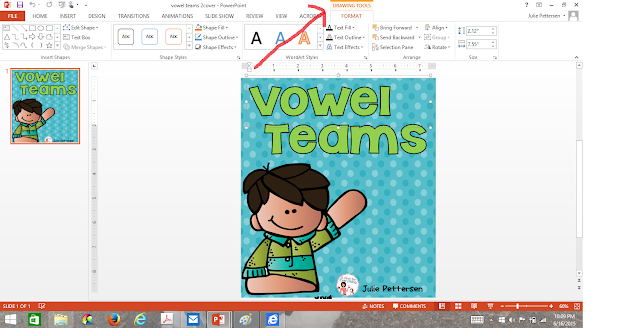 Next, I clicked on "text fill" and chose the color I wanted to fill the outline. That's it! Super easy! So easy in fact, that I then changed a few of the graphics within the product and re-uploaded the product. I'm thrilled. 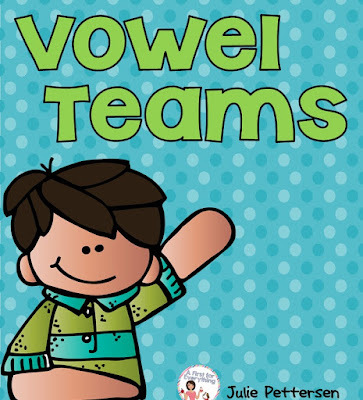 To celebrate the new and improved "Vowel Teams" product it is on sale for the remainder of the week at half off. You can grab it in my store here or by clicking on the image below. 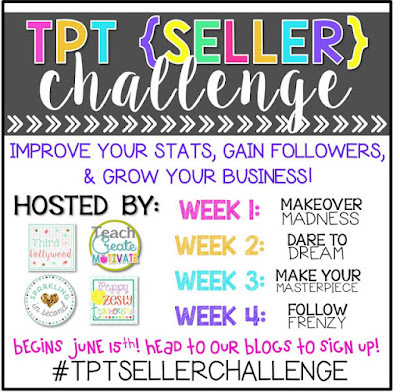 Are you up for a challenge? Come join us and link up! Head over to one of these fabulous blogs featured below to link up. I'd love to see what you make! Very cute! I definitely like your makeover item - you did a fabulous job! I think I may need to check out the hollow font; I love the idea of changing the inside colors and the trim :) Thanks for sharing! The new font looks great! I'm a fan of bigger clip art on covers as well. All the pieces you chose really work nicely together. Thanks so much for the tip about filling hollow fonts. I will definitely be trying it out! 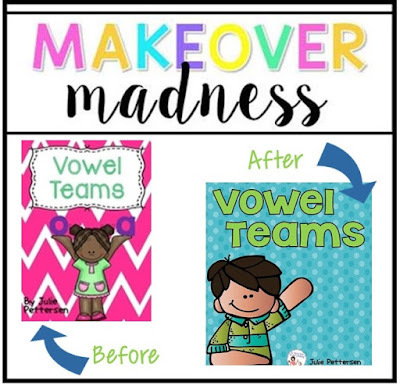 I was also glad to see that product makeovers was on someone else's to-do-list as well this summer ! Love your makeover! It looks awesome. Definitely more eye catching with the new cover! Very cool! I haven't worked with hollow fonts much. Thanks for sharing! Great makeover! I really like the new patterned paper and the cool color scheme as well. It's bold, but not busy.